For me, Esencia Loewe is a powerhouse fragrance. Granted, it's a pretty elegant one, but it still makes the grade in my book. It was released in 1988, and it smells like it too, even if it's much more refined than, say, Oscar de la Renta Pour Lui. It projects like crazy, and no one can ignore you when you walk into a room wearing it. If you worked in a job that required stealth, like a Navy SEAL or a ninja, and you wore this fragrance on the job, you'd be dead. 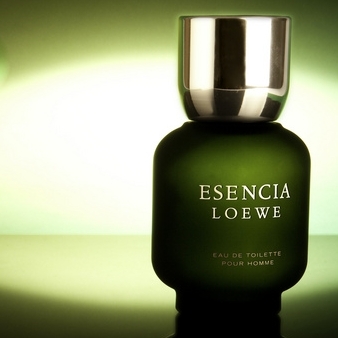 Style-wise, there is no question that Esencia Loewe is a green herbal chypre. I'm surprised labdanum isn't listed as an ingredient, because I'd swear I can smell it in there, and this perfume pushes every chypre button there is. 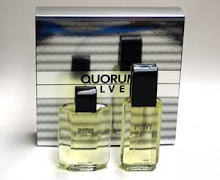 It's got the strong green herbal style of macho stalwarts like Quorum and Basile Uomo, along with the classic smell of "old lady" chypres like Boucheron Pour Homme and Jean-Louis Scherrer. If you blended Agua Brava with Lauder For Men (or a women's chypre like Miss Dior), you'd get something close to Esencia Loewe. Esencia Loewe contains whopping amounts of oakmoss and leather, typical of its era. Counteracting all that ballsiness and giving it some refinement are strong floral notes like jasmine and geranium. The two contrasting styles surprisingly work great together, and this why Esencia Loewe is likely to appeal to both classic chypre fans and powerheads. This makes it unique, not just for an Eighties scent, but for a masculine fragrance overall. I can't conclude this review without mentioning how strong this is. It has huge sillage, with a scent that never quits. Smelling Esencia Loewe on yourself strongly for well over twelve hours is not unusual. When you wear Esencia Loewe, its relative refinement will be the only thing preventing innocent bystanders from running for cover and dropping like flies. I can't believe they sell this in 5 ounce bottles. 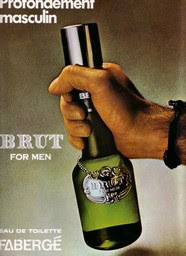 With its strength, a bottle like that would last me the rest of my life. This is an essential fragrance for any fan, male or female, of strong green herbal chypres. And of course, I love it. I really love this one and I also think the bottle is fantastic. With temperatures still close to 30 degrees in Athens it is one of those scents I am looking forward to cold weather to be able to enjoy. I must admit though it is not such a beast on me. Granted, it's not a beast like Lapidus Pour Homme is, but the more I wear it, the more I appreciate its swagger. It's not a hairy chest & gold chains type of macho swagger, but more of a mature, businesslike swagger, if that makes any sense. Loewe Esencia is awesome! Just got this about 4 weeks before your review and I am really rocking this in the cooler weather. Your review is much welcome as I was curious what you would think of this one. You are right in that it is a powerhouse, albeit a suave, refined one. Keep up the cool reviews. I really enjoy your blog. 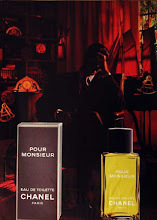 I credit your blog for igniting my interest in the classic scents - Worth pour homme, Quorum, Azzaro PH, Krizia Moods etc. I am curious what you think of Loewe 7 ? Never tried Loewe 7. What's it like? Actually Esencia is the only Loewe fragrance I've tried. I still haven't procured this one, but I liked it when I tried it. I would not exactly classify Loewe 7 as a powerhouse, but to me it's a nice scent. It is an incense scent, specifically frankincense most likely is the dominant note. 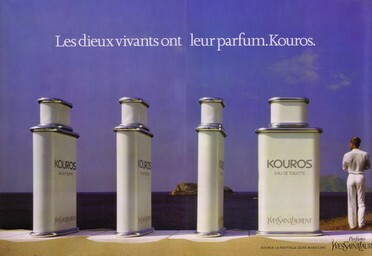 I like incense like that in Kouros, but in that one incense is a supporting note whereas in Loewe 7 it is the main player. There are 2 versions - Loewe 7 and Loewe 7 natural. The former is the real deal, whereas the latter is supposed to be composed of 'natural' ingredients, save for the synthetic musk. I think that the latter is what you would call a wimpfest, reminiscent of laundry detergent. In summary, if you enjoy incense dominant fragrances, you might enjoy Loewe 7. I'm kind of so-so about incense frags - some I like, some I don't. I think there are way too many fragrances in the market that people call incense frags, but don't smell very incensey to me (e.g., City Tower by Bogart). Avignon by Comme des Garcons - now THAT'S an incense frag! Para Hombre definitely sounds more my style. I like the 1974 birth date too. Thanks for the Avignon suggestion. I will have to explore that CdG series(Avignon, Kyoto, Zagorsk, Jaisalmer etc.) sometime. Though I haven't smelled any of those, I have heard that Loewe 7 most resembles CdG Kyoto. I can't be sure, since I have not smelled any of that series. Loewe 7 has a strong frankincense note which is common during special Catholic mass ceremonies. I like incense in certain frags, like I mentioned e.g., Kouros. Just today I am enjoying Balenciaga pour Homme on a cold snowy day in Europe. Too bad that they discontinued it! 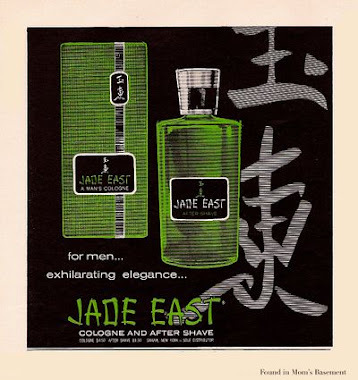 Strange enough for me, this is one of ithe few fragrances that rare considered "Oldies" but I still have with me......and one of the most I find difficult to wear at any occasion.....I mostly smell the atomizer and wonder when will the ocassion finally come to wear this. This frag is so different from most masculine fragrances. I think to want to wear this a lot, you have to wear old school chypres a lot anyway. I wear them a lot, so Esencia Loewe fits in well with the rest of my collection. It's more expensive than a lot of the power frags I review, but it's also better. If it means saving the $60 to get a bottle, rather than buying 3 bottles of some other powerscent, I say do it. This is a great fragrance.